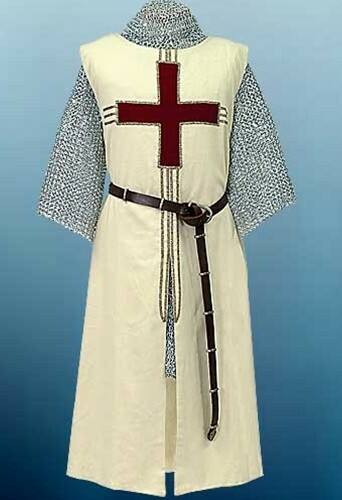 This superb tunic is made of heavy, off-white 100% cotton and lined in the same fabric. 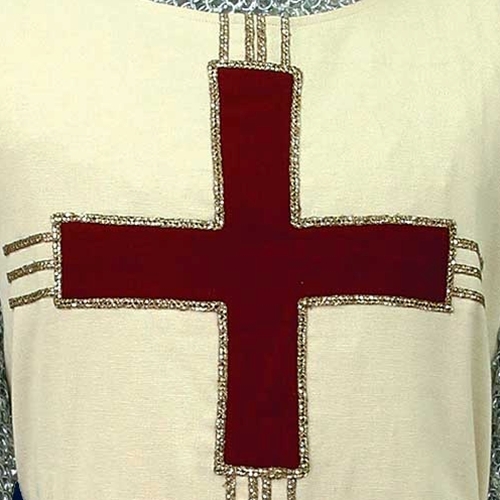 The red Crusader's cross on the chest has gold trim that both outlines the cross and forms sun rays in all four directions. Sizes S/M or L/XL. Neck 14 to 15-1/2" 16 to 17-1/2"